Quote Reply Topic: Replacement Barrel? Sooooooo...the chamber of my No.1 Mk3 is kaput. I've been poking around Ebay, Numrich, and Gunbroker, et al, searching for a barrel. Not much to say about results. Can anybody recommmend a source? I did see a site down under that advertised new barrels, but I can only imagine the money involved, even if it could be had. 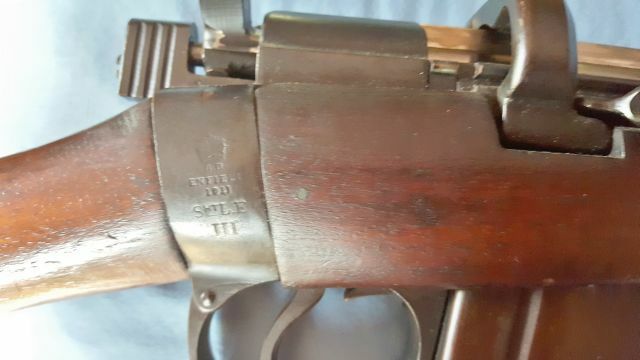 hi when you say the chamber is no good is the barrel okay i had a smle years ago and it was a case stuffer i stewed on it for weeks and i cut one thread off the barrel and put it back on . MuttCat. I get all my No1Mk111 barrels from Numrich. Never have had an issue with one. I'm no gunsmith, but the guy I took it to was a gunsmith. He went over the rifle, fired it, saved the brass, and his determination was that the barrel in total would need to be replaced if I wanted to bring the rifle up to what I wanted. I guess one concern would be buying a barrel sight unseen and winding up with something that doesn't get the job done. From what I've seen on the Numrich site, they don't provide specs on the barrels they list. Maybe I should call them. With some information we can be way more help! We'll gladly volunteer to be the brains but we need hands on, on site, to do it well. Can you post pictures of the fired brass? 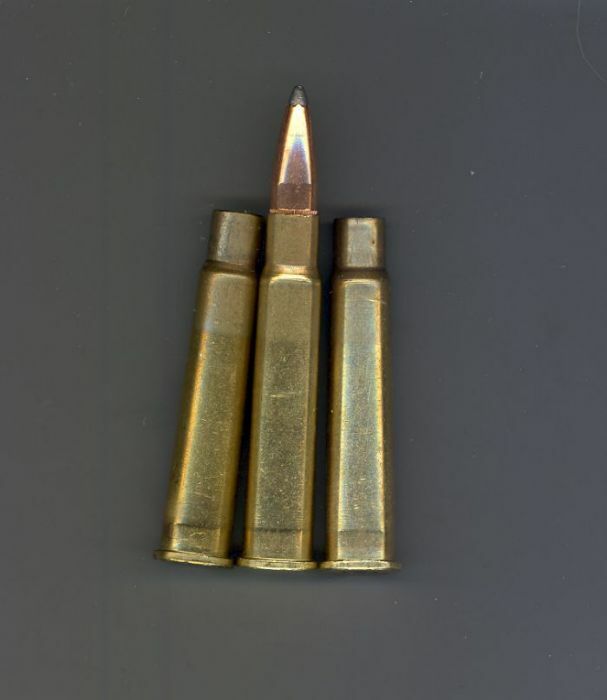 It sounds to me like you MAY, just MAY have an excessive headspace issue from tjhe description of the primers backing out, now the .303 case is tapered, essentially a shallow cone. What happens to a cone if you slide it towards the base more & then reshape it? Yup It expands laterally to fill the bigger space. Is the expansion not even around the circumference? Is there a "fat" side & a "Thin" side? Does it show up about 1/4" in front of the case rim? If so, unless its excessive its "Perfectly normal" for an Enfield! Please understand we're trying to help, we wont let you "blow your fool face off"! But the L-E is a design from the 1890's & its rimmed, not rimless, so it behaves differently! If posting images here is a technical problem just e-mail the images to me & I'll gladly post them for you. But without more exact & detailed information we're just thrashing about in the dark! If it helps I've never heard of "Bellie" in a chamber & I can't even think how you'd "create some kind of balloon" on part of the inside of a chamber! If someone did something that physically caused a chamber to "blow out on one side" creating a "permanent bellie", the steel would rupture blowing a chunk out of the chamber & destroying the rifle! Please get us pictures of your fired brass. Off center & expanded cases, although scary-looking are perfectly normal for the L-E rifles, it a question of HOW blown out they are. If it helps mail me a few fired cases & I'll do the same back so we can both see whats "safe" & what isn't. The smith seemed knowledgeable about LEs...said he had several himself. I have the cases and will get pictures up. Thanks everybody for your help. I too had a gunsmith who seemed knowledgeable with the Lee Enfield and he himself also stated that he had several of them as well. All the ones he had were deactivated and he would sell me one as a wall hanger for 75.00 bucks. As in was paying him I asked what makes them deactivated. Were the barrels welded up? Nope. He showed me a tiny hole on the left side of the receiver in the exact same spot the gas check hole is at. I still own that 75 dollar special and it is as accurate as it was the day I bought it. That's why I love the big city gun shows round here. They are ALL "Eggspurts" in everything. I bought a Hensoldt Ferro ZF24, brand new in the original wrapping for $100.oo. The dealer KNEW the case was for a German Gas Mask" & "Wouldn't take one penny less"
Paid $200 for it because it was "broke, doesn't even light up, no parts sold as is". 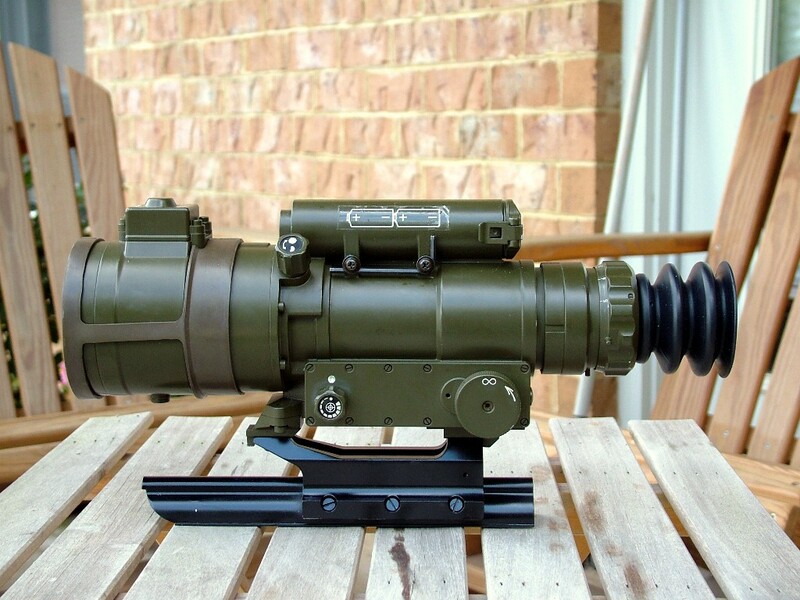 I guess he didn't know about night vision & the auto eyepiece shutter? He made me sign a statement that I would not fire it or hold him liable if I did and ended up seriously injured or killed. I took the rifle home and stripped it down to the barrelled receiver. Nothing to indicate it was deactivated. The furniture did not have the DP paint job either. My dad locked the receiver into our bench vise,put a round in the chamber,stuck a broomstick into the trigger guard and smacked the trigger. The bullet came out accordingly and struck a box of junk truck tire innertubes. My dad still owns that No4Mk1 Fazackerly made rifle. I just get a line of type, no pic.